The Brown Wood Owl has a special place in Sri Lankan folklore, known as the devil bird. 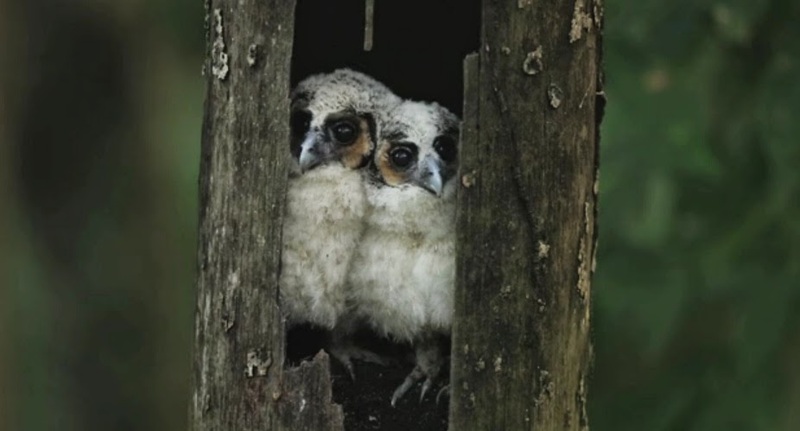 So when filmmaker Thivanka Perera came across a pair in the crevice of a tree trunk he decided to monitor their progress. The resulting short film tells the story of survival against all the odds and while the ending is not a completely one, this reflects the way that nature operates. This film officially selected for the 2014 Wildlife Conservation Film Festival in New York. Neves-Corvo, Alentejo is the most active mining region in Portugal, but the wealth of these lands is not just underground. On the surface, there is great biodiversity thriving between the cereal steppes and holm oak montado. 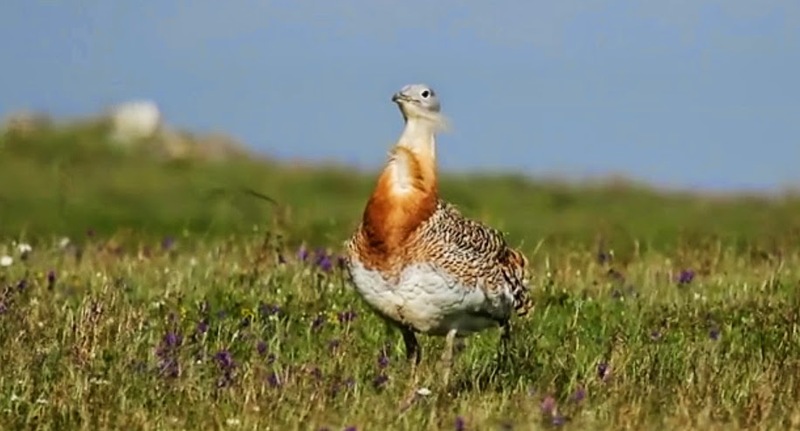 This beautiful film by Daniel Pinheiro, voyaging through the various habitats of the region and revealing some of its most characteristic and charismatic animals and how they have adapted to an environment of extremes. 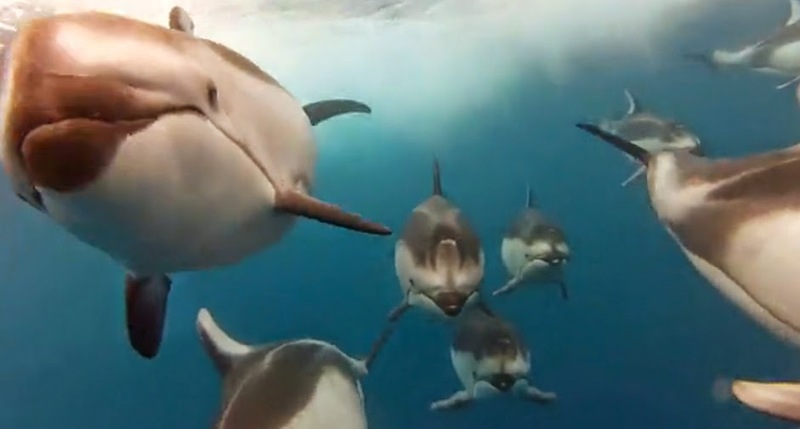 Mark Peters and friends encountered an unexpected surprise while albacore fishing off the coast of Santa Cruz, California –a pod of Pacific White Sided Dolphins which playfully hitched a ride behind their fishing boat. The graceful ease with which the dolphins glide through the water is simply amazing. Fortunately, Mr Peters had his camera on him and was able to catch this magical footage of something which most of us will never experience. 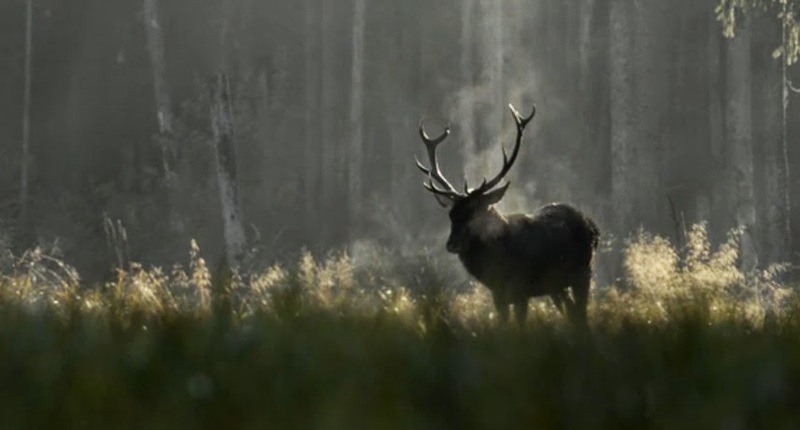 Photographer Vincent Munier has caught the almost primeval nature of life in the European forest in his new book La Nuit du Cerf (Night of the Deer) and this short film has been released for its launch. It is stunning work: close your eyes and you can almost feel the cool night air, smell the scents of the forest and feel the tensions within this community of deer. 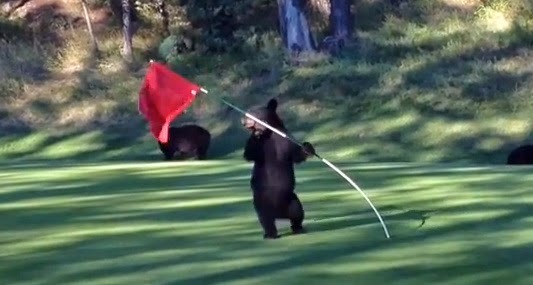 We Know What Bears Do in Woods But What Do They Do on the Golf Course? Play Golf? Well perhaps not quite as we know it! This young bear and other members of his family were spotted on the Mountainside Golf Course at Fairmont Hot Springs Resort in Canada. Andi Dzilums was out on the course that morning and managed to capture the moment that the bear cub took the inevitable decision to grab hold of and run around (and around!) with the pin. This amusing spectacle of bear-faced cheek (couldn’t resist it) carried on until the cub spotted something just as interesting – a golf ball. You might think that Andi was a little foolhardy - to say the least - to put himself so close to these wild animals. They are North American black bears, not grizzlies and so tend to be timid around humans and only attack if they really, really have to. However, if you don't know the difference- keep your distance!